Our heart is to inspire, empower and connect creative women across the globe, to discover their purpose by championing their personal and professional creative dreams, through a culture of belonging and authenticity. We desire to champion creative entrepreneurs, creative mums, creative ministers – creative women – to live their best lives. We desire to reach into the heart of Perth and regional Western Australia, to undergird, nourish, empower and love on local creative women, so that they blossom into all they're called to be. We invest in others' dreams. We inspire with real stories. We cultivate true belonging. We have the courage to create. 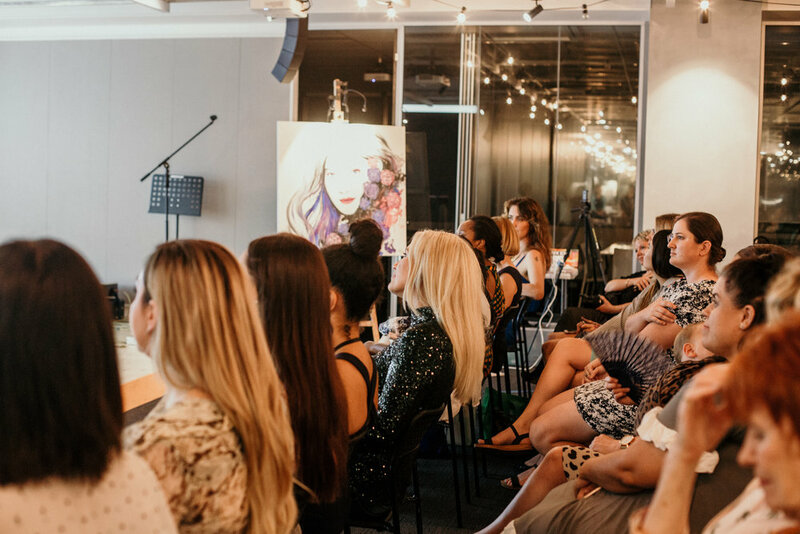 The Inspire Collective has grown so much bigger than I anticipated when I started in the lounge room of my house, and with so many opportunities to connect and receive sustained input from a growing number of world-class speakers, artists and entrepreneurs, you will feel supported and part of something bigger than just your own dreams and goals. I'd love you to join our tribe. We want you to become a part of this tribe of amazing women! Everyone belongs, everyone is celebrated, everyone is championed to be the best version of you that you can be! 3. Our exclusive Dreambuilder Pop Up Dinners, where you get to hang out with other Inspire Collective Dreambuilders - 4 a year! 5. Special invitation to our Private Member facebook group where Cate shares her heart every couple of weeks. 6. Plus much, much more - such as Dreambuilder access only resourcing with interviews from Inspirers within our community, access to the IC facebook community, instagram and main facebook page, our AMAZING events. There are 2 steps to joining as a Dreambuilder. If you would just like to be on our mailing list, simply fill in the form attached and click FREE and we will ensure you stay connected to our Inspire Collective database. Please don't hesitate to write to us at info@inspirecollective.com.au if you need any help whatsoever!